We have emerged as one of the leading firms of a wide array of Disposable Food Tray. We are indulged in offering the finest quality Apple Tray. We are a unique name in the market to provide our respected customers an exclusive range of Disposable Areca Leaf Tray. We feel proud to introduce ourselves as a reliable organization, engrossed in manufacturing and supplying the broad assortment of Disposable Tray. Uses: used for food serving purposes. We manufacture and export a wide array of Disposable Food Containers, which includes disposable cups, pet salad containers, transparent jars, meal trays, bowls, sandwich boxes, icecream tubs, fruit clamshell, fastfood bowls etc. These disposable containers are manufactured from optimum quality Polypropelene and Polystyrene. Leveraging on vast infrastructure, we are capable of manufacturing an exclusive array of 8CP Meal Tray. Envirolines Disposable Leaf Tray features sleek, rectangled shapes with rounded corners and small rims and the rectangle flat bottom which fuse seamlessly. They are absolutely guilt free, ready to serve. 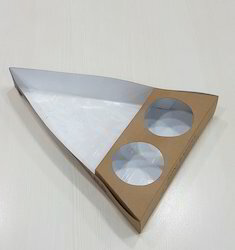 Matching up with the ever increasing requirements of the customers, our company is engaged in providing Areca Leaf Disposable Tray. 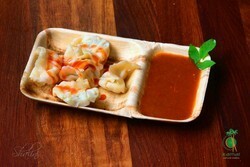 Our company has gained name and fame in presenting Disposable Meal Tray. SNAPIN's signature tadka seasoning provides sharp Desi flavours to your everyday dishes. This classic Indian spice blend without first frying in oil or ghee. Apply while cooking or sprinkle over dishes. Wedding Disposable Tray are made from naturally fallen leaves of Palm Tree (Areca) Earth Friendly / Renewable / Sustainable / 100% Natural.
" One Touch in the Plate you can feel touching a Leaf Vein in hands".